Car accidents injure and kill people every day. When those accidents are caused by the negligence of another person, there is a remedy. The injured party and the families of those injured can file a lawsuit or claim against the party or parties responsible to recover lost income, medical expenses and monetary compensation for pain and suffering. 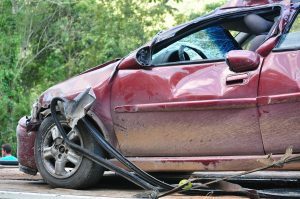 Krasney Law is a top car accident law firm dedicated to getting our clients the maximum compensation from reckless or negligent drivers who can wreak havoc by causing injuries to an auto accident victim. 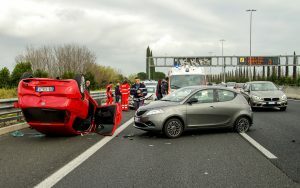 Krasney Law’s expert car accident attorneys and staff can investigate the circumstances of an accident and sue for maximum damages to see that our clients get what they need to cover medical bills, lost wages and pain, and suffering. Or, we can negotiate with an insurance company and see that you get a good deal. At the scene, first, check on all passengers, drivers and pedestrians involved. If they need medical help, summon an ambulance immediately. Don’t move anyone who is unconscious or reports neck or back pain unless their life is in immediate danger, for example, a fire. Don’t speak with the other side’s insurance company without first calling our office. Please keep in mind, the insurance company will want to take a recorded statement to protect themselves, not you. They represent the people that injured you and they are trying to reduce their financial liability. Don’t let your car be towed to their tow yard. Instead, get it towed home. When approaching drivers, be cooperative and courteous, but do not apologize or admit to, for example, violating right of way or running a red light. If you do you may be conceding you are liable. Making sure to ask all the drivers for their names, drivers’ license numbers, telephone and address. Take down license plates and insurance information from every driver involved. Also get passengers’ names, addresses and phone numbers. If there are witnesses, write down their version of what happened and their information too. When you go home or soon after, contact your insurance company, and don’t lie or misrepresent what happened or they may deny coverage if you’re caught. Obtain a copy of the police report, we can help you with that. If you are injured, make sure to record visits to doctors and other medical practitioners, the drugs and treatments they prescribe and what you spent on them. Take notes on how you feel physically and mentally because of the impact of the crash. Write down all time lost at work, note what activities at work or home that you can no longer participate in, and tell how the aftermath of the wreck has affected your family life. After you’ve done all this, call Krasney Law to pursue justice and compensation for what has happened to you. We practice law all over California. When is a Driver Considered Negligent? 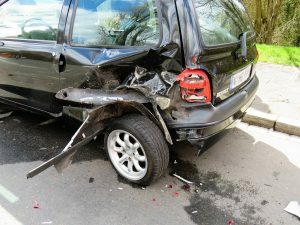 To get a free evaluation of your case, speak with an attorney who understands the complexities of car accident claims. We have been winning big awards for our clients for years. We have experienced attorneys and expert staff who will go all out to represent you for maximum damages. Call the team at Krasney Law for a free initial consultation. We will charge you nothing for an initial consultation, and we may arrange payment on a contingency basis. That is, we don’t get paid unless you get paid by either accepting a settlement or we go to trial and win your case.